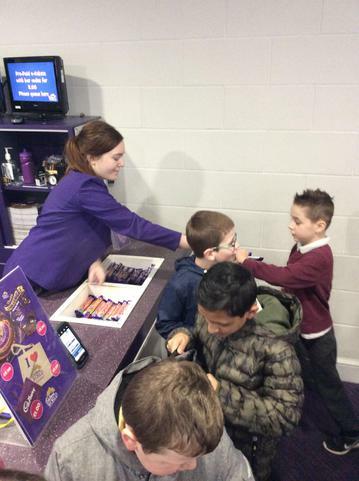 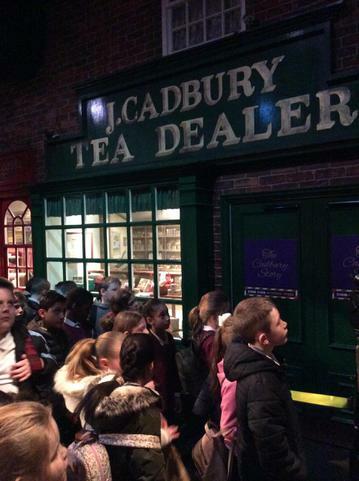 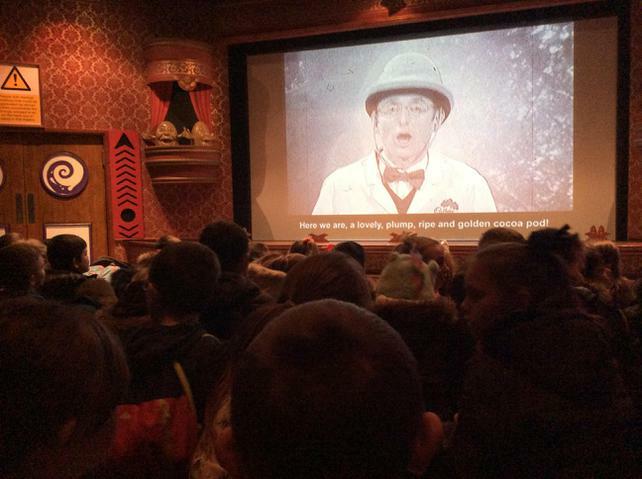 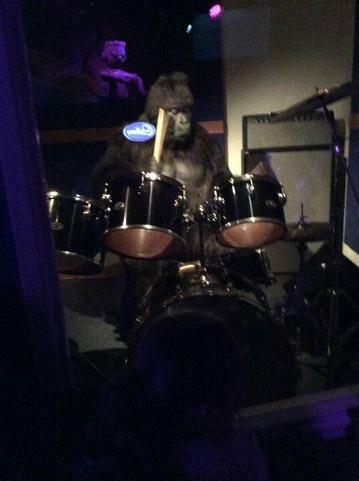 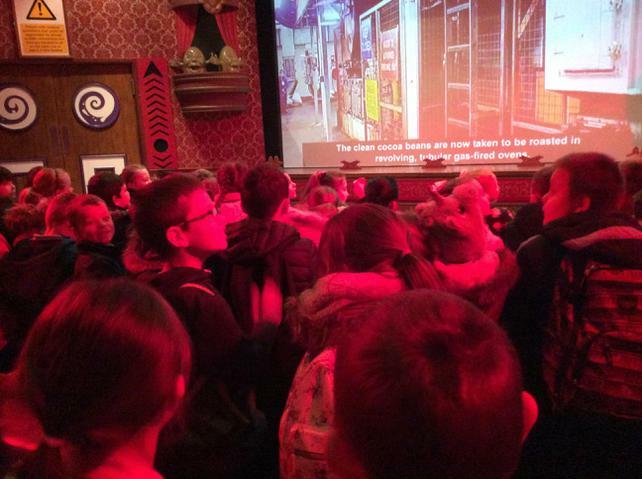 On Friday 2nd February, we went on an amazing trip to Cadbury World. 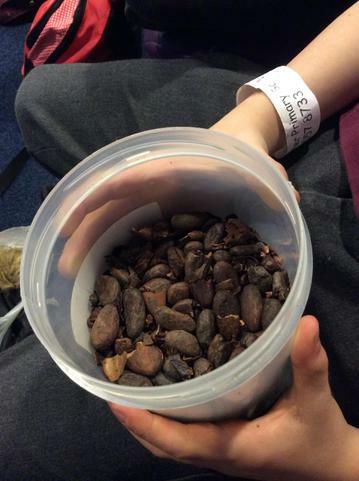 We started the day with an educational talk in the "Richard Cadbury Room" where we learnt about how the beans, grown in Ghana, travel to our country and get processed into the chocolate bars we eat! 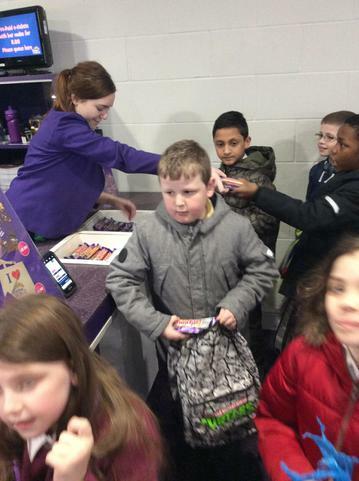 Did you know, it takes between 25-40 Cocoa beans to make 2 bars of Dairy Milk! 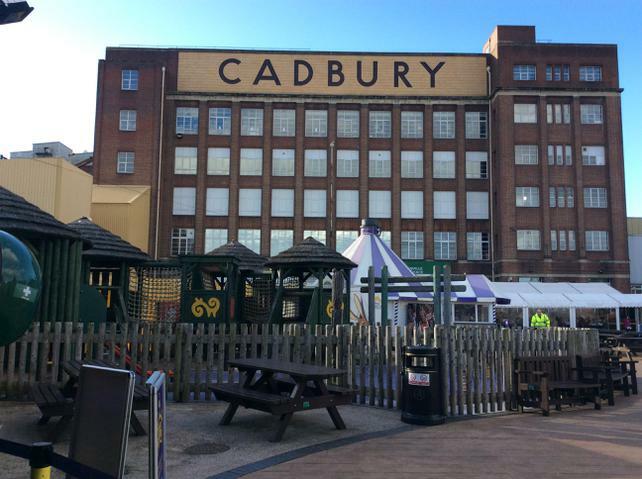 We then went on our factory tour, learning about Cadbury's history, Bourneville and where it all started in Bull Street, Birmingham. 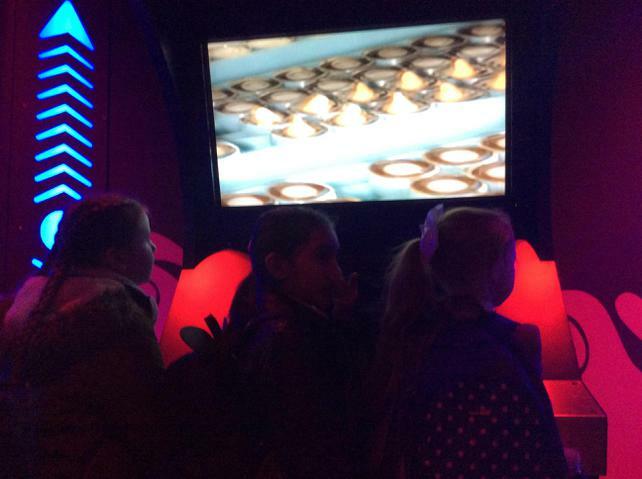 After that, we went on an adventure through a Cocoa Bean land on the Cocoa bean ride and finally got to try some chocolate! 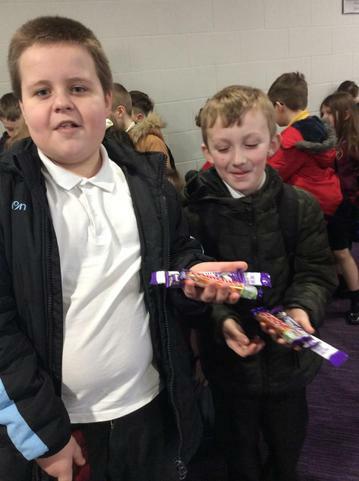 We got to choose 2 toppings from marshmallow, fudge, chrunchie, biscuit and popping candy. 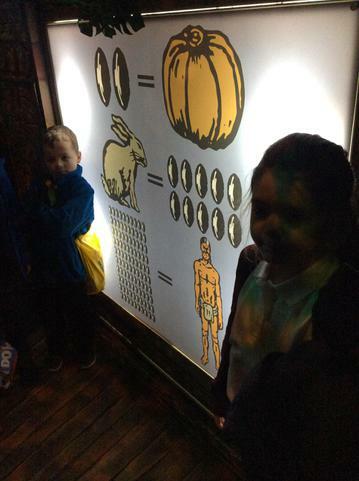 Whilst we ate this, we watched a very skilled worker make some chocolate caramel shells. 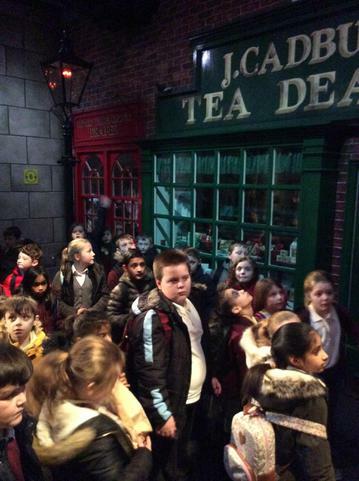 After lunch and before we left, we got to go on the 4D Cinema Experience. 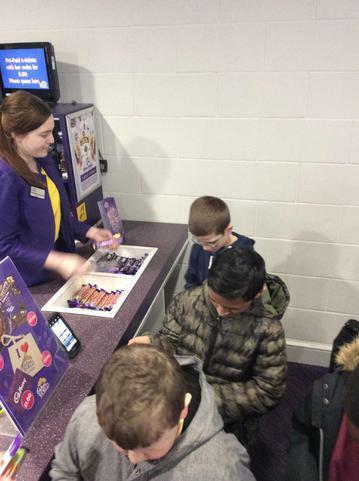 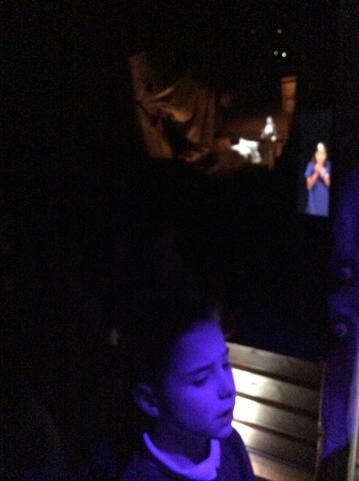 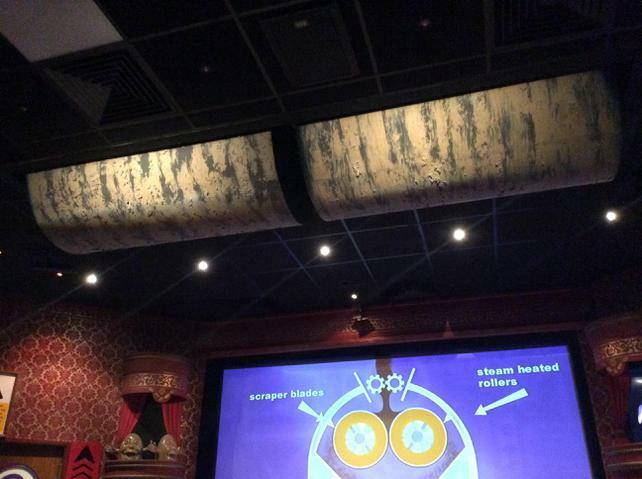 In here there was a virtual rollercoaster and it rained creme eggs! 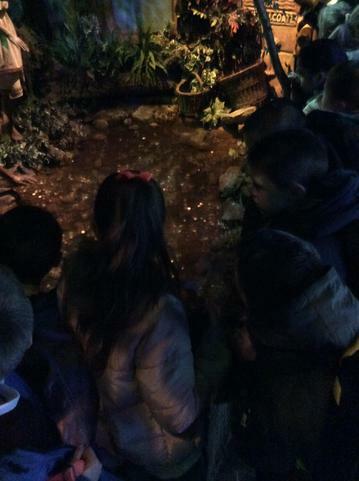 During the whole day, the children were very sensible and represented our school excellently. 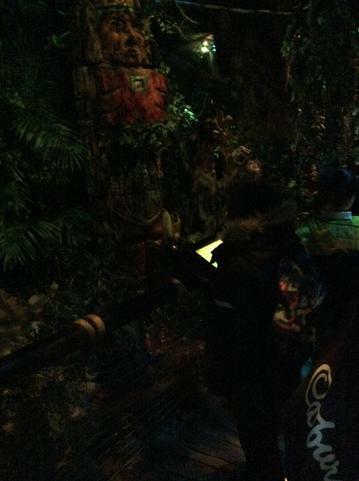 It was a great day enjoyed by everyone!